I’m so excited that Spring has decided to arrive a little early this year and as far as I’m concerned the earlier the better! We have what is considered to be a temperate climate here in Portland, Oregon. We enjoy (don’t always use this adjective) our fair share of rain during the winter and spring months, but of course this is why we have such lush green vegetation all around us. Because of our climate we can grow a huge variety of plants, which is certainly right up my alley! When I moved to my current house, I created a good size flower bed just outside my studio window, where I am able to view it perfectly. I have a nice mix of perennial flowers and herbs and I plug in some flowering annuals every year as well. Currently in full bloom, there are muscari or grape hyacinth, daffodils, blue hyacinth, snow drops, pansies and primroses. I’m just so thrilled to once again be able to look out my window and see some color again. 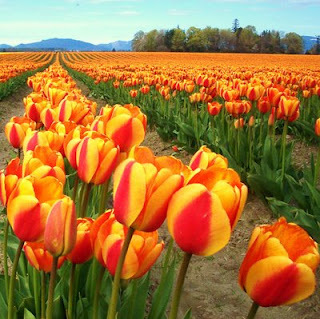 Later this month I will be attending the Woodburn tulip festival, where many acres of various tulips will be in full bloom, it is truly spectacular!! 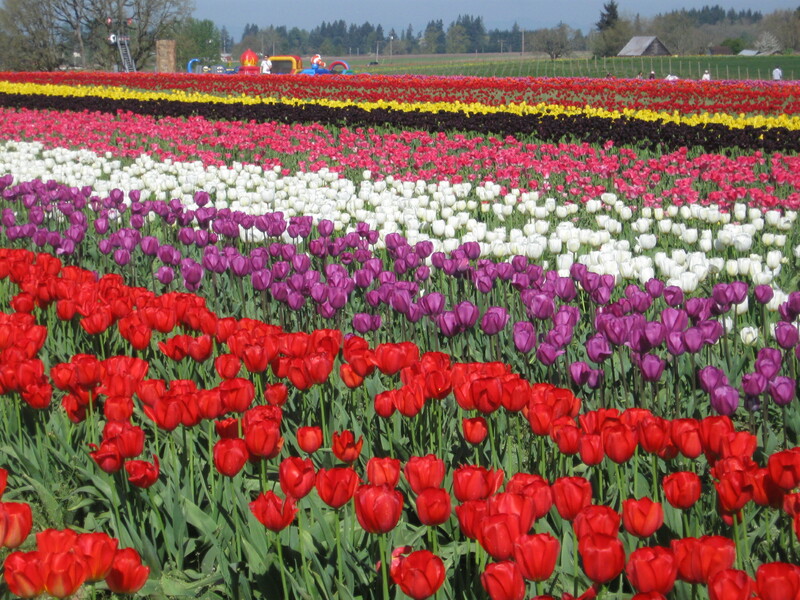 The pictures below were taken there and at Skagit valley. My dad was from Portland and every time I visited, I was amazed at all the green, growing things. It seemed almost every house had a garden of some kind. 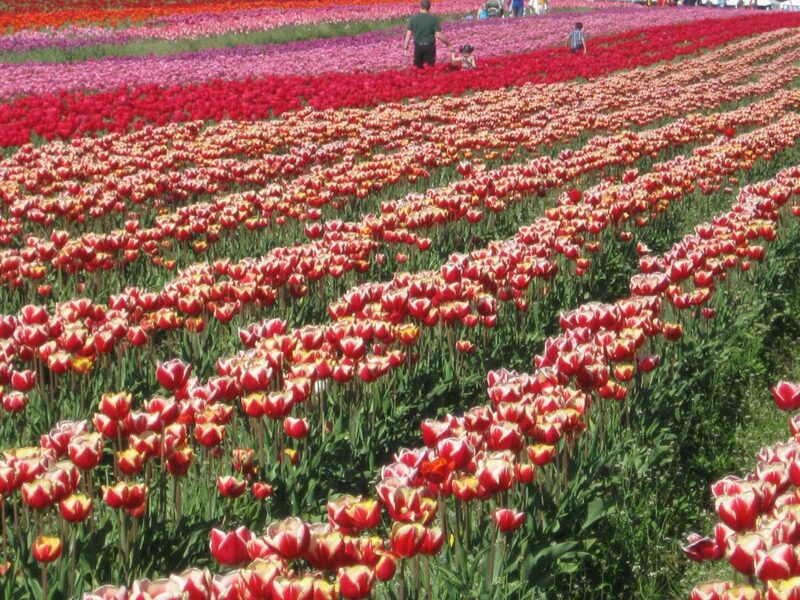 All those tulips have me really pining for spring….